The Raymond Corporation is located in the heart of Upstate New York and is one of the world’s leaders in fork truck production. 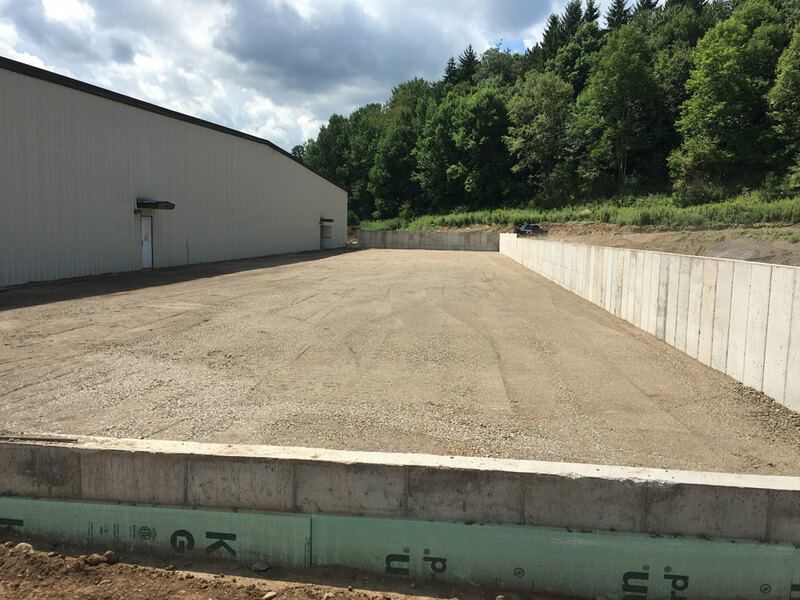 In order to better serve the main facility in Greene, New York, their G2 Warehouse was expanded to allow for additional parts storage. 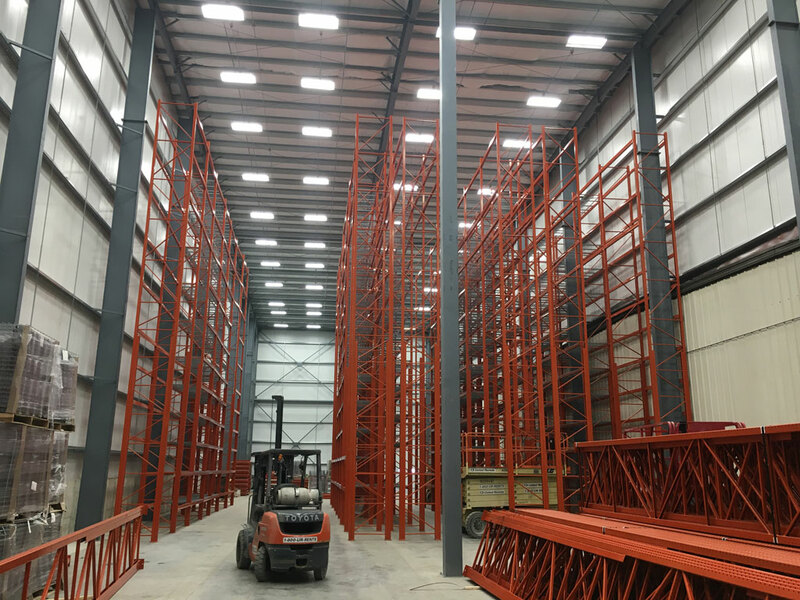 Upstate Companies was the General Contractor for this $1 million project to expand the warehouse by over 700,000 ft.<sup>3</sup>. 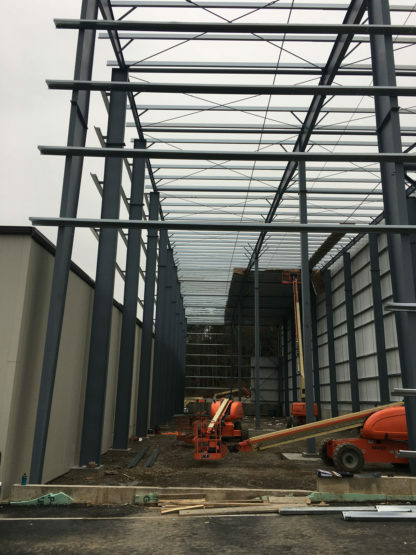 This pre-manufactured building was assembled and wrapped with 3” insulated metal panels. 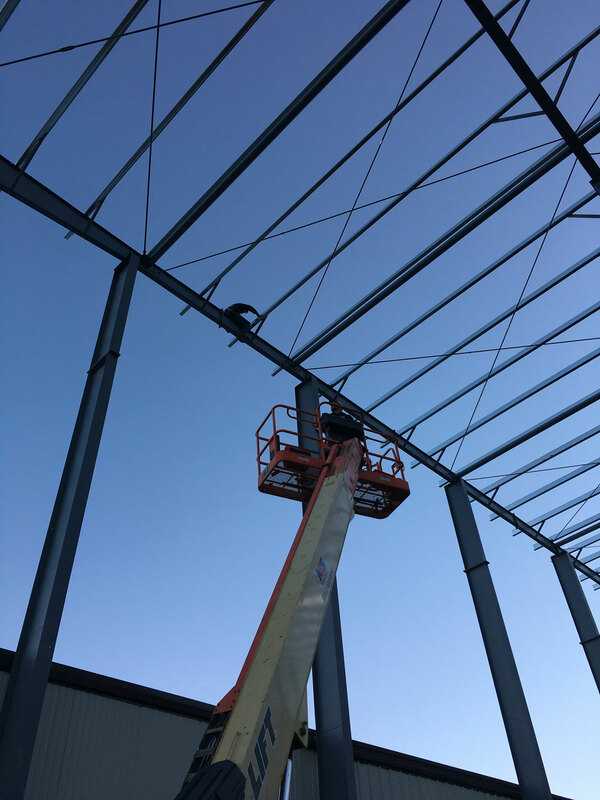 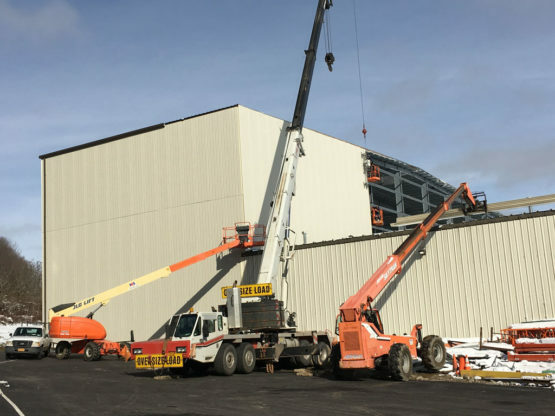 The new 55’ high structure would allow the Raymond Corporation to use their automated fork truck for demonstration purposes as well as a faster, more productive method of material handling. Once the building was constructed, temperature controlled and lighting installed, the interior slab was poured. This super flat slab was required to have a tolerance of FF75+, or approximately 7 thousandths of an inch.